International Canadian FEI Grand Prix dressage rider and EC Gold medalist, Cassandra Jessop. Cassandra has been champion at many levels including FEI U25 Grand Prix, FEI Junior, FEI Young Rider, FEI Young Horse, FEI Small Tour and Training through Third level. In the first list of the FEI Young Rider rankings (Feb 2015) Cassy was ranked 77th based on her performances in only first half of 2014! In late 2017 Cassandra was ranked 98th at FEI u25 Grand Prix rankings. In 2018, her student Jade Buchanan on Qaro GS were part of Team Canada Central who won the BRONZE MEDAL at NAYC in New York. In 2019 Cassandra will be competing at Training, First, Third level, FEI Young Horse, Small Tour, as well as two horses competing at Intermediare 2 and Under 25 Grand Prix. Students will be competing at Training, First, Third level, Prix St George & FEI Juniors, Young Riders, Young Horse. Cassy competed Mariska NAJYRC 2013 (placing 21st) and NAJYRC 2014 placing 9th; Both times she was top placed Team rider. 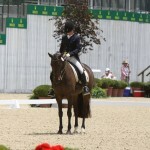 Mariska competed up to FEI U25 Grand Prix, now semi retired to broodmare duties. Cassy also rode four year old stallion Qaro GS to over 80% to win at a national first level show. Cassy has also done demonstrations including the prestigious Royal Winter Fair in Toronto, Can Am Equine Affiare in Markham, Ont, Mane event in London, Ont, as well as Equine Affaire in Springfield, Massachusetts. Cassy has ridden with many top international trainers in order to expand her knowledge including: Belinda Trussell, Cara Whitham, Albrecht Heidemann, Tom Dvorak, Catherine Haddad-Staller, George Williams, and many more. 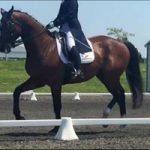 If you are learning the basics of dressage riding or you need assistance with your one tempis, piaffe or passage, Cassy can help you improve. Experience starting horses to saddle, Grand Prix, and every step in between. Horses for sale, lease or part board available. 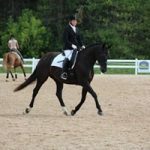 From unstarted babies to FEI Grand Prix horses, from three to six figures, Cassy can help you find the horse of your dreams.